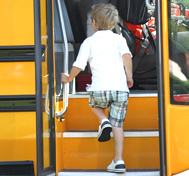 With decades of experience with commercial vehicle and child restraint products, CAPE is uniquely qualified to conduct school bus testing. CAPE i s a division of IMMI, a company devoted to Bringing Safety to People for more than 50 years. When it comes to child seating restraints, more manufacturers depend on IMMI products than any other, and IMMI’s SafeGuard brand of school bus seating is the most trusted, respected, and widely used lap-shoulder belts on the market. CAPE was created, in part, to validate many of these products, and our expertise and experience with the school bus industry doesn’t end there. We have conducted more than a dozen barrier crashes, hundreds of sled tests, and more than 20 rollovers in an effort to make school buses safer. In fact, CAPE was the first test house to perform a bus-to-bus crash in the United States in 30 years. CAPE can easily prioritize our external customers to get tests scheduled and completed quickly. If you need flexibility when it comes to performing testing on your school bus, CAPE can help. 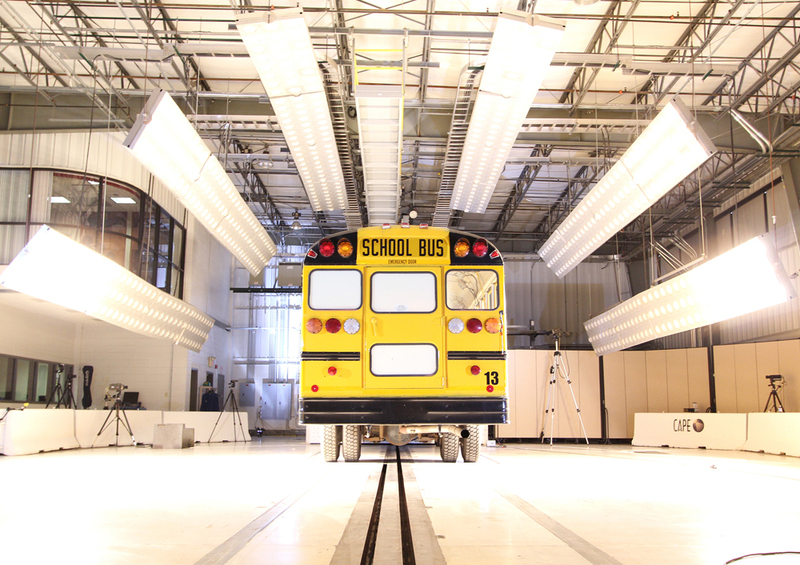 As a test house that prides itself on the success of our commercial vehicle testing, CAPE is uniquely qualified to handle school bus testing of all shapes and sizes. We have the largest barrier block in the world, and many school buses have been put to the test against it. 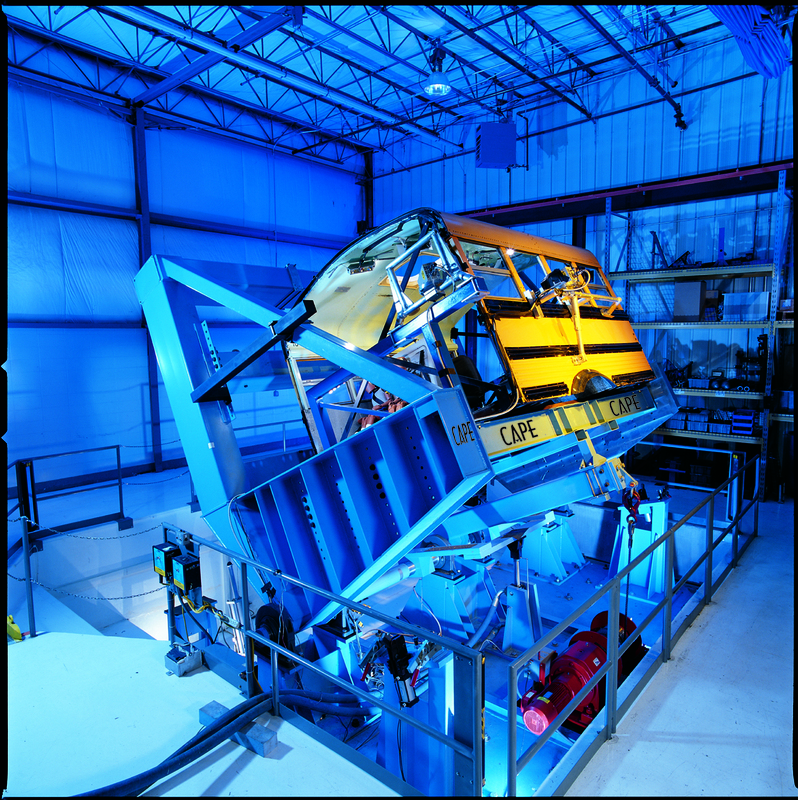 We’re also the only crash test facility with a 90 degree rollover machine, offering our clients to opportunity to see how their products, and the occupants inside them, will perform in a rollover. In addition, CAPE is the only known independent test house with a forward firing Servo Sled which can recreate almost any test pulse with capacities up to 104 Gs and changes in velocity up to 56 MPH. It is an excellent tool to put child restraints to the test. At CAPE, we test the most common standards: FMVSS 210, 222, and 225. We performed these school bus rollover tests for ABC News.